Curtin Malaysia campus has an R&D portfolio that reflects the mission of the campus, by focusing on programs of research that are relevant to Sarawak and Malaysia. 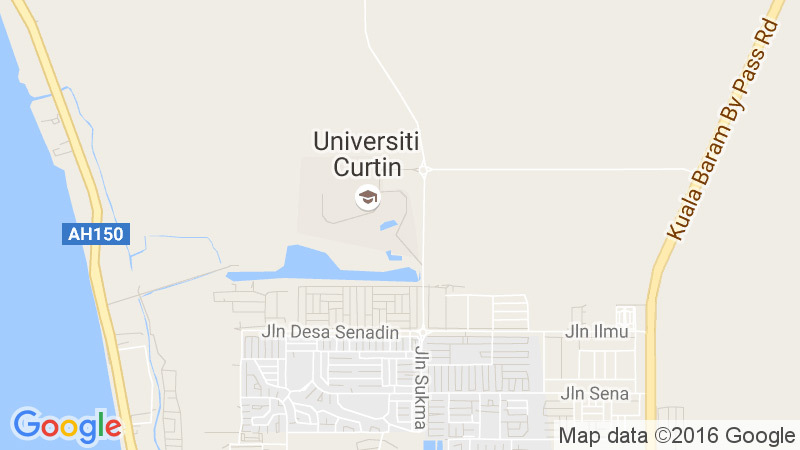 Curtin University Malaysia is widely recognised for its achievements in applied research that is firmly focused on solving real-world problems. Underpinning our research endeavours are strong partnerships with industry, business and government, which result in outcomes that greatly benefit the broader community locally, nationally and globally. The projects are funded by the Curtin Malaysia Research Institute and the Curtin research Graduate School. They will commence in early 2019. Three 3-year fully funded PhD studentships are available in a competitive process which is now open for receiving expressions of interest. An MBPX404 continuous centrifuge by Alfa Laval Tumba AB in Sweden was air-freighted to Shanghai and integrated with custom-designed discharge tanks. After integration and testing, the system will be shipped to the Pilot Plant Facility at Curtin University Malaysia. A pilot scale 750 L photobioreactor for the outdoor autotrophic culture of algae will be added to the Pilot Plant facility at Curtin Malaysia. The Techfors 150 L Pilot Scale Bioreactor destined for the Bioprocess Floor of the Pilot Plant Facility at Curtin Malaysia has been completed and tested after 6 months of fabrication at Infors AG in Basel, Switzerland. The tender value of this bioreactor is RM1.6M. GE Akta Pilot chromatographic system (and an Akta Pure bench top system) was commissioned at the Pilot Plant Facility, Curtin Malaysia on 07 Aug 2018. Frankincense is an aromatic resin which has been traded for over 5000 years. Its increasing rarity makes it a high-value ingredient for perfumery and aromatherapy. We extracted the highest grade of frankincense (from Boswellia sacra) via a pilot scale supercritical fluid extraction system at the Pilot Plant Facility at Curtin Malaysia. First test pilot scale extraction of oil and fat from dried dabai (Canarium odotophyllum Miq.) pulp. The dabai plant is indigenous to Sarawak on the island of Borneo. Dabai oil is known to be rich in antioxidants. This is the basis for commercial interest in its use as a nutraceutical. Curtin University commences research on the marine science, biodiversity and paleoclimatological history of the Miri-Sibuti Coral Reefs National Park. This will be a three-year program funded by the Curtin Malaysia Research institute. The MSCRNP program is part of the Curtin Baram Project. Site Acceptance Testing for Batch 1 Rigs at the Bioprocess Centre @ Curtin Malaysia 09 - 10 Aug 2017. With this S.A.T., the Distillation Rig, Rising Film Concentrator, Substrate Prep reactor, Multi-purpose Reactor, Supercritical Fluid Extraction system, Spray Dryer, Solid-Liquid Extractor, Plate Filter, Tray Dryer and Extruder are all commissioned. The fabricator of all the systems except the SFE was Kawan Engineering Sdn. Bhd. of Ipoh, Perak. The SFE was designed and fabricated by NATEX Prozesstechnologie GesmbH, of Ternitz, Austria. Ternitz, Austria, December, 2016. A verification team from Sarawak conducted the Factory Acceptance Test of a Pilot Scale Carbon Dioxide Extraction System built by Natex Prozesstechnologie GsmH for the Biotechnology Centre @ Curtin Sarawak. The system will be shipped to the Centre in Jan 2017 and is anticipated to be operational in May 2017. An update on the progress to date on the Biotechnology Centre @ Curtin Malaysia (BC@CM), a RM68M investment by the Malaysian federal government. It is project managed by the Sarawak Ministry of Industrial and Entrepreneur Development, and Trade and Investment and will be operated by Curtin University Sarawak commencing Q1 2017. Curtin University Malaysia is engaging the highland communities in northern Sarawak which produce a specialty commodity commonly known as "Bario rice" even though it is produced in large quantites outside the latter location. The objective is help the communities take a greater part in the marketing chain especially with regarding to certification of origin so that a high-value/low volume commodity will be enabled. This will in turn be the base for a greater return to the producers for their efforts in a time when on the one hand, labour is a scarce resource in the highlands thus affecting production output and yet on the other hand there is real potential for increasing the demand for a niche high quality rice.